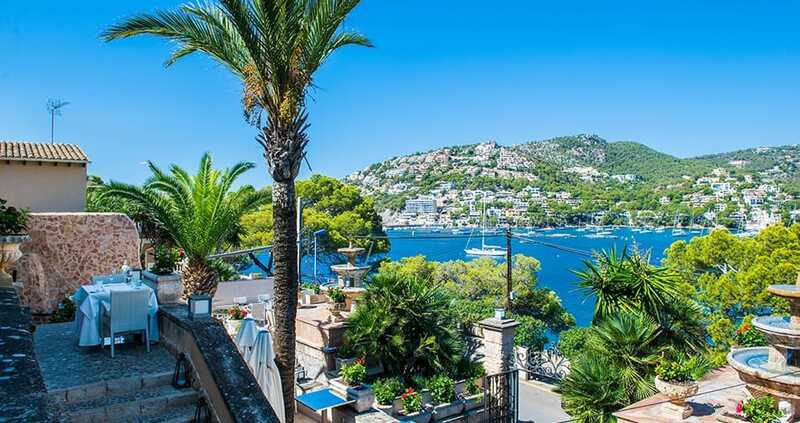 Enjoying a privileged elevated position on the seafront at the quieter end of Port d’Andratx, the 4-star Hotel Villa Italia was built in the 1950s as the summer residence for the De Vitta family. The building was later extended when the property was converted into a hotel, which has impressive wrought-iron gates and a series of steps leading up to the entrance. 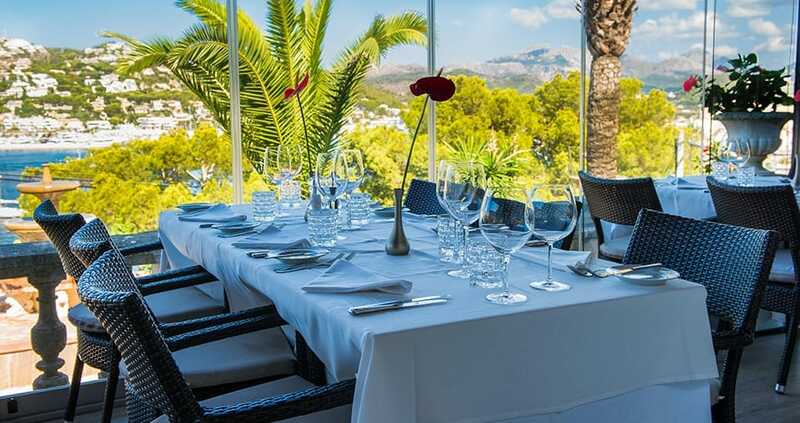 Restaurant Villa Italia is open to the public as well as guests; it’s a popular eating-out choice for local residents – particularly as it is open all year. Its elevated position means that the views over the harbour are unbeatable and, being at the quieter end of the port, the restaurant feels less frenetic than some of the more-central roadside eateries. 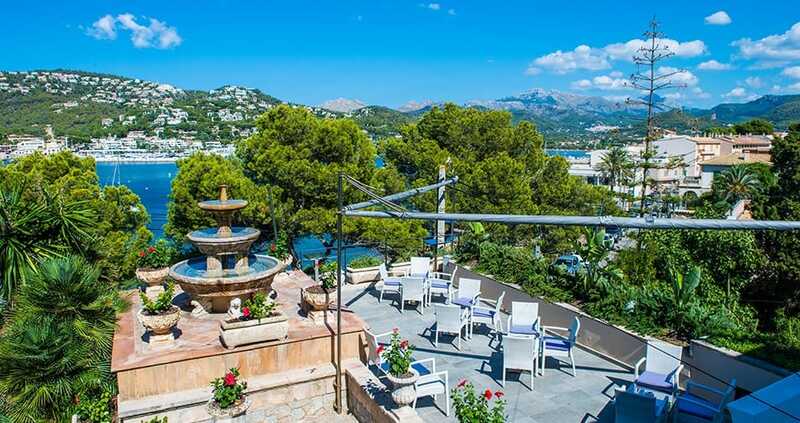 The terrace offers al fresco eating with commanding views and, in the cooler months, is enclosed by glass so you can comfortably enjoy the superb setting. 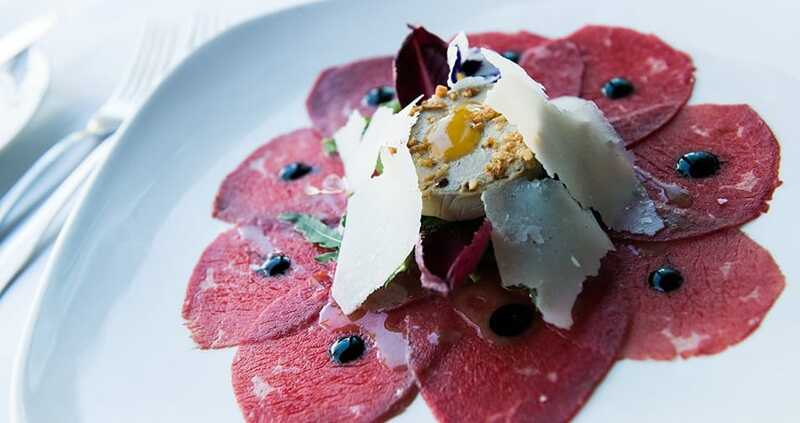 The place feels elegant, with tables topped with crisp white linen and gleaming glassware that tempts you to order one of their good choice of wines. 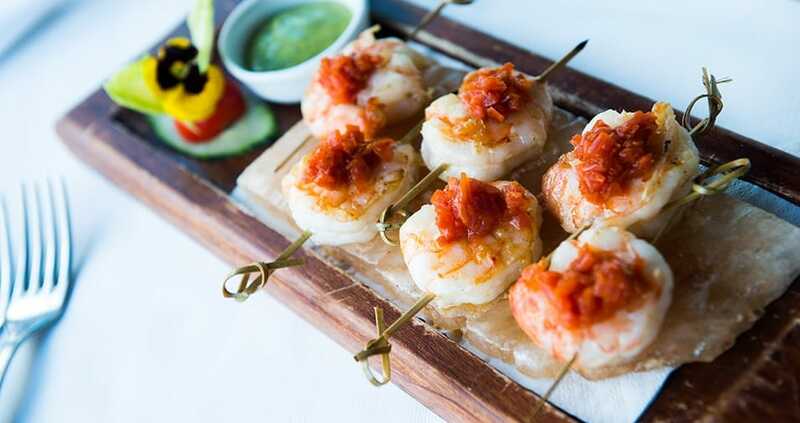 Chef Christian Catrina takes his culinary inspiration from Italian and French gastronomy, using fresh produce to create the seasonally changing menu. 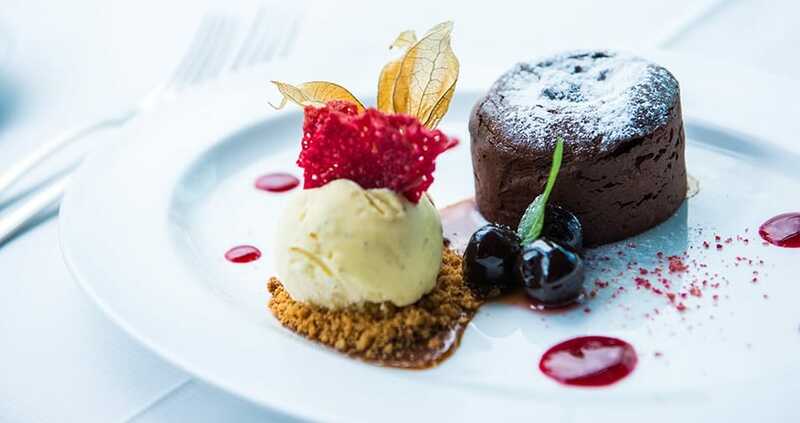 His dishes are visually appealing and unpretentious, and you should save space for one of the tempting home-made desserts. 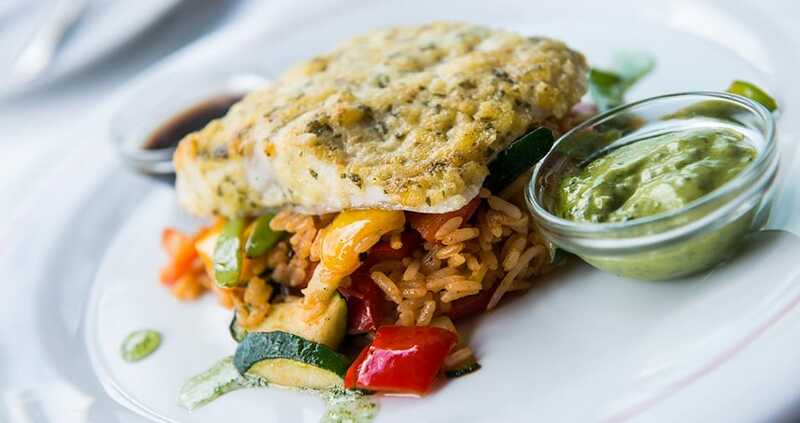 The restaurant offers a set-price lunchtime menu, which includes a glass of wine, water, bread, olives, and three courses of your choice from those offered that day. 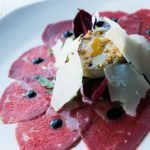 Depending on the season, starters may include dishes such as prawn risotto with truffle oil, seafood salad served on avocado, or a carpaccio of wagyu beef, with goat’s cheese gratin. 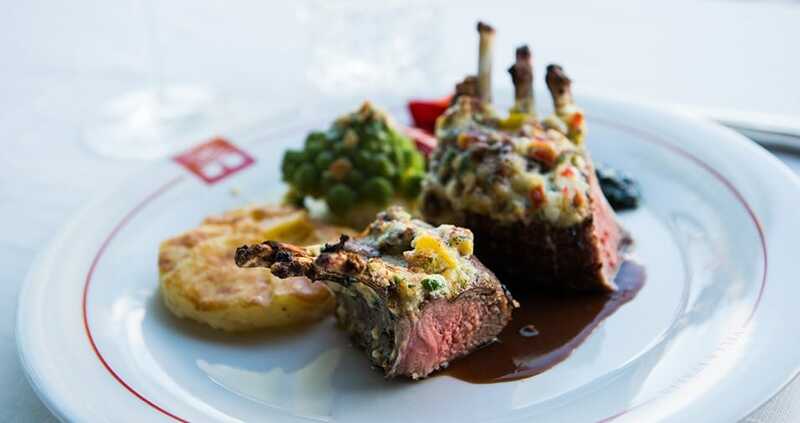 Main course dishes could include the classic French dish beef entrecôte Café de Paris, with potatoes au gratin and vegetables; breast of free-range chicken with creamed spinach and rosemary potatoes, or salmon with lemon butter accompanied by boiled potatoes and vegetables. And don’t miss one of chef’s desserts! The presentation of the food on the plate is neat and appealing, but without unnecessary fussiness. The traditional English Sunday roast attracts the British resident community and visitors, and is accompanied by live music. 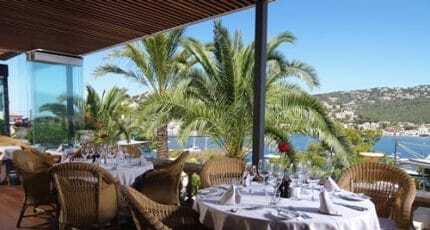 If you want to have Sunday lunch here, you do need to reserve your table in advance. 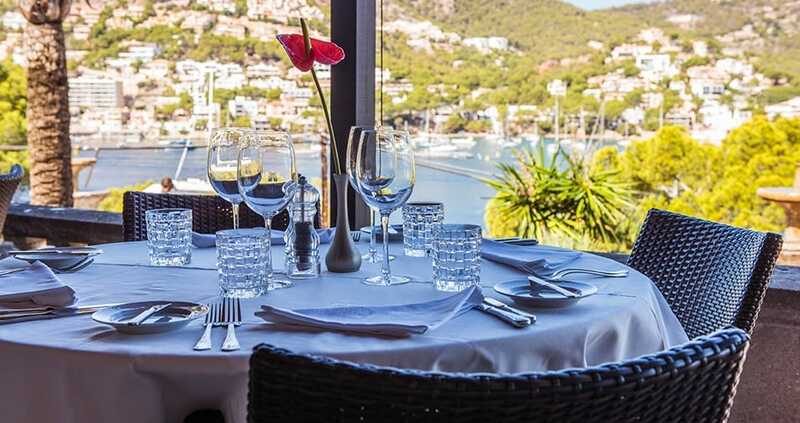 Dinner is à la carte, with candlelight and gorgeous views over Port d’Andratx – ticking all the boxes for a romantic dinner. It’s not surprising that many couples choose to have their wedding at this special hotel. 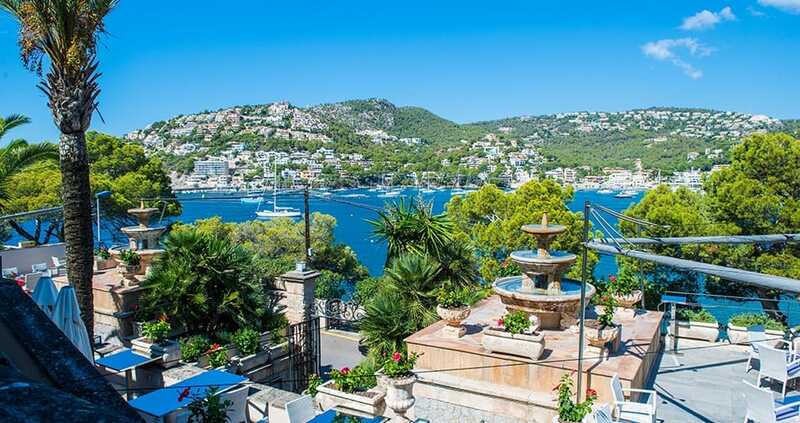 Hotel Villa Italia is built onto a hillside and, as such, there are quite a few steps to negotiate. The hotel does not have a lift, so anyone with restricted mobility may find access a challenge. 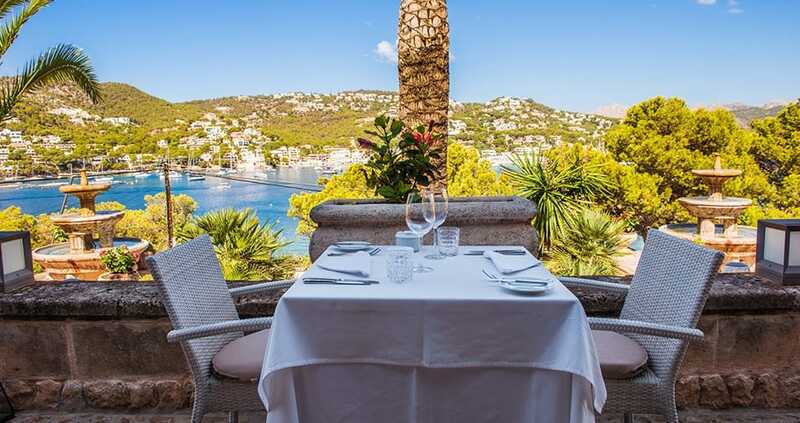 We hope you have found this article about the Eating out at Hotel Villa Italia useful and that you have many memorable stays in Mallorca as a result of our recommendations. Note: Open from 15th March.